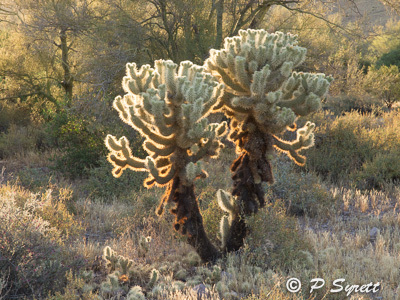 Pol's Nature Photography: North American Cacti: ‘tree-like’ cacti. North American Cacti: ‘tree-like’ cacti. 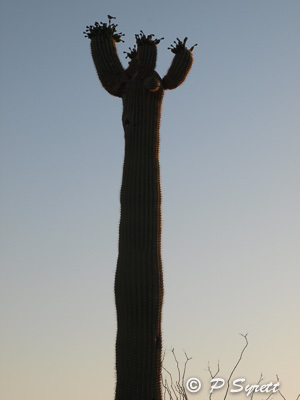 The saguaro cactus Carnegiea gigantea grows into column that can be 20 metres high. 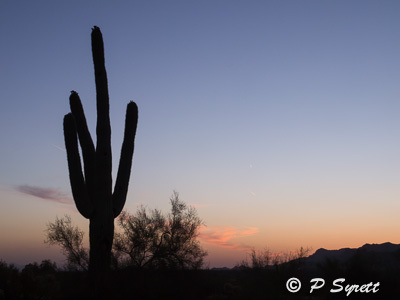 It occurs naturally in the Sonoran Desert, in southern Arizona in the USA and in Mexico. The flowers are produced near the growing point at the top of the plant, or at the end of an ‘arm’, from April to June. They open at night, as bats pollinate them, so the best time to see the flowers is in the early morning. Like trees, birds nest in saguaros. Gila woodpeckers and gilded flickers excavate holes high up in the column, and other birds will use one of their holes when it has been vacated. 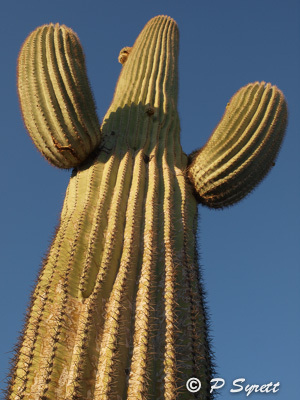 When a saguaro dies, the flesh rots away to leave a characteristic wooden skeleton with a lattice of holes. 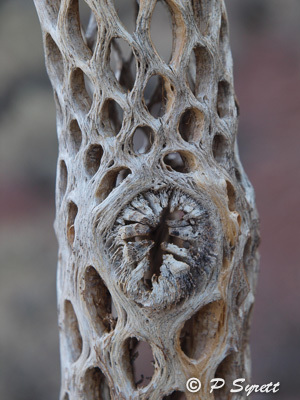 This wooden structure supports the plant in life. 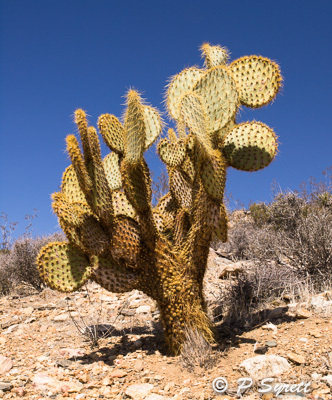 Other cacti that are tree-like include several in the Opuntia group. 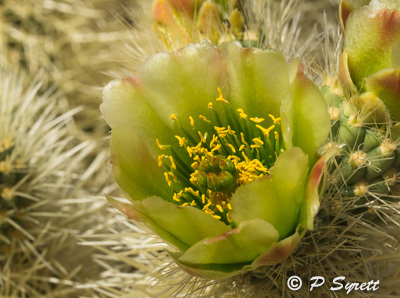 Cylindropuntia bigelovii, teddy bear cholla, from the southwestern United States and Mexico, grows as a branched shrub with a distinct trunk that darkens with age. The branches are covered with dense, white spines, giving the plant a furry appearance, but it is anything but furry to the touch. Pretty, greenish-yellow flowers appear in early summer. New plants are mostly produced from offshoots of mature plants: small pieces easily become detached, blow around in the wind, and, when they lodge somewhere, grow into a new plant. Opuntia chlorotica, the pancake cactus, is also a tree-like plant, growing to more than 2 m high, with very round pads and a thick trunk. It also occurs in the southwestern United States and Mexico, growing in sand or rock, usually on steep, rocky slopes, often in canyons. This example is from Mt Ryan, in Joshua Tree National Park, CA. 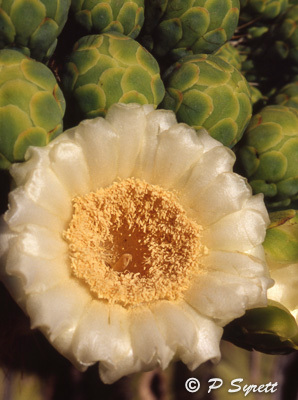 Like many other prickly pears, it has yellow flowers.